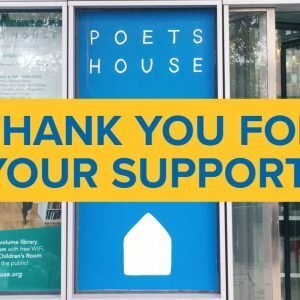 Every contribution, large or small, makes a difference to the life of Poets House. All donors are important members of our community and receive our heart-felt thanks. Donors of $60/year or more receive free admission and other acknowledgements as listed below. Enter the name of the tribute, and their email (if applicable, and if you would like them to receive a notification email). Enter the name of the person being remembered, who should be notified, the notification email address and any other notification details. Whom Should Be Notified About This Gift? Enter the purpose of this payment here.